Cucumber has long been known for its numerous health benefits; the 'cooling' veggie is said to prevent dehydration and constipation. 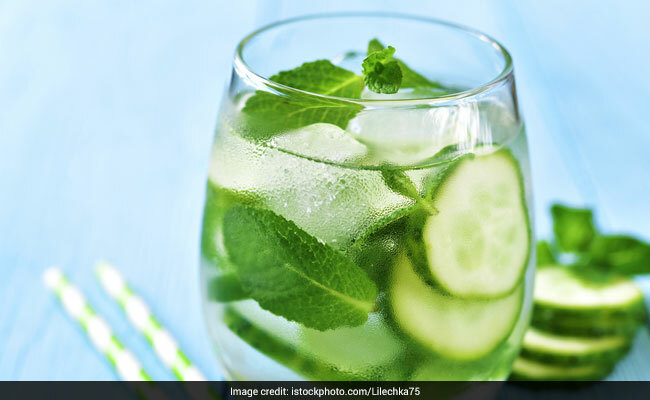 Moreover, known for its anti-diabetic, lipid-lowering and antioxidant activity, cucumber has a detoxifying and cleansing effect on the overall health. Cucumber provides sufficient amount of essential nutrients including vitamins C and K, and turns out, it may help you lose weight too. You heard us! This low-calorie food makes for a great snack and can be included in a range of delicious weight-loss friendly dishes from sandwiches, salads to coolers. Here are some benefits of cucumber and amazing reasons to add it in your daily diet. Know why cucumber is great for weight loss. Cucumber has zero fat, low-calories, making it an excellent snack for people looking to lose weight. So toss some cucumbers in salads or eat them as it is and add a dash of lemon juice, salt and black pepper to stimulate weight loss. Sugar, in any form, tends to up the risk of obesity, which is why it is generally suggested to avoid it. Cucumber has negligible amount of sugar that will help you lose weight effectively. Indigestion and constipation can add to bloating up. Fortunately, cucumber comes to your rescue; thanks to its fibre and water content. A diet rich in cucumber will promote a clean gut that's free from constipation. To alleviate the bloated look around your stomach, the body needs to continuously flush out toxins. The cucumber seeds act as diuretic that help pass urine and flush out excess water and toxins. This can help reduce bloating and tighten your stomach muscles. Cucumber is 90 percent water; which is why it helps keep the body hydrated. A properly hydrated body helps in promoting weight loss.